Distinctive aromas with therapeutic benefits. 6 essential oil blends that relax and rejuvenate. Blends come in a 1/6-oz. bottle. 100% pure natural essential oils - no need to blend! Distinctive aromas with therapeutic benefits. Includes a selection of 6 essential oil blends that relax and rejuvenate. Blends come in a 1/6-oz. bottle. 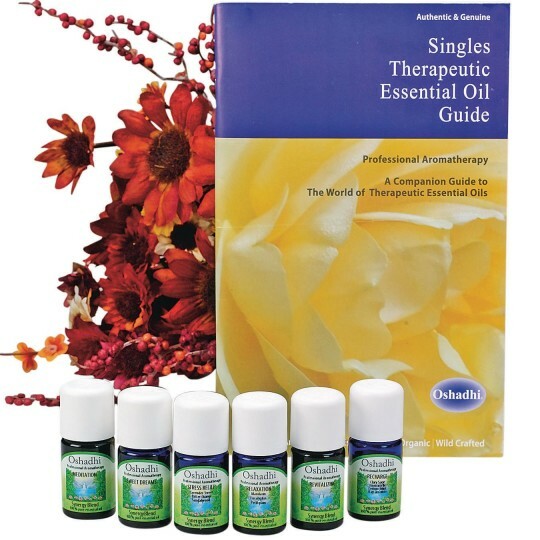 They’re unadulterated, 100% pure natural essential oils – this means no blending is required! Kit is complete with Meditation, Relaxation, Revitalizing, Stress Relief, Recharge and Sweet Repose. Can be used with our diffuser 17065 (sold separately).